The Dynamo tweeted a hilarious ad parody Friday morning promoting the Texas Derby match against FC Dallas this weekend. HOUSTON - Are you suffering from "excessive Dallasness?" Fear not, for the Houston Dynamo have a cure. 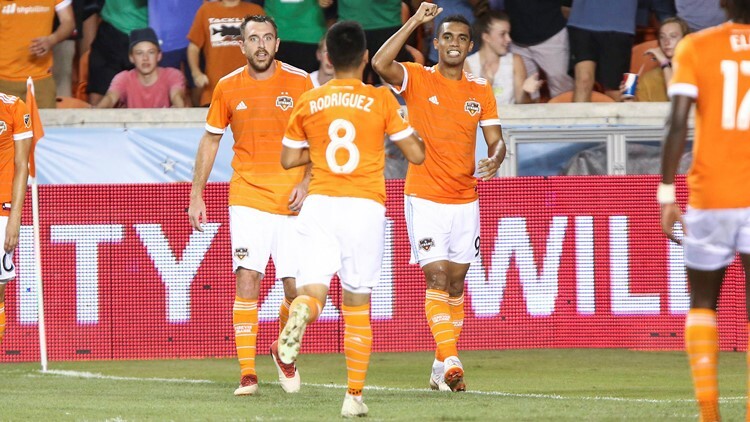 The Dynamo tweeted a hilarious ad parody Friday morning promoting the Texas Derby match against FC Dallas this weekend. The creative ad included examples of symptoms, like "lack of MLS Cups" and "geographically challenged" -- all factors Houstonians are happy to bring up in any Houston vs. Dallas debate. Excessive Dallasness doesn't have to control your life. The matchup is set for 8 p.m. Saturday at BBVA Compass Stadium. For tickets, visit the Dynamo's website.